There are so many delicious goodies during the Holidays that it's hard to decide which ones to make. This is a quick and easy treat that's perfect to snack on or pack in lunches. 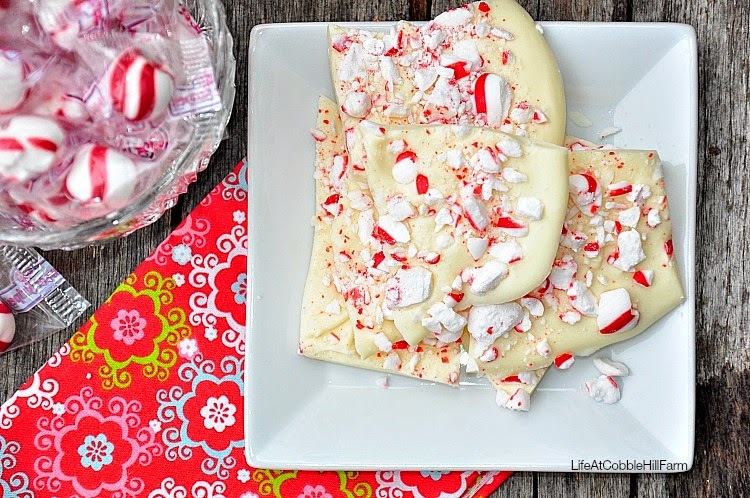 I adore peppermint and white chocolate, so, of course, this combo is right up my alley! I use a softer peppermint candy, "sweet stripes" instead of candy canes, but you can use whatever you find. They are similar to a dinner mint the way they melt in your mouth, which I find a bit easier to eat. 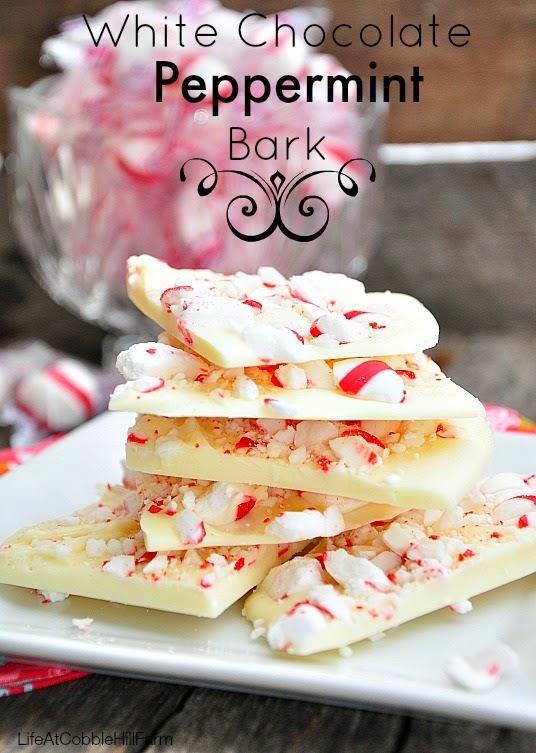 Candy bark is also the perfect treat to allow kids to make. 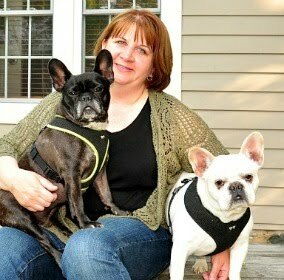 Place peppermints in a heavy duty plastic bag such as a freezer bag. using a meat mallet or a clean hammer, crush them, leaving some large pieces. Melt chocolate according to package directions, or at 30 second intervals in a microwave-safe dish in the microwave, stirring well between each. Stir in 2/3 of crushed peppermints. Spread out evenly on parchment paper. Sprinkle remaining peppermint pieces over top and let set until hard. Cut to desired size with a sharp knife or break apart with your hands. Store in an airtight container. Looks yummy - the tip on using the mints rather than the candy canes sounds like a good one. Hope I can squeeze this into my baking.